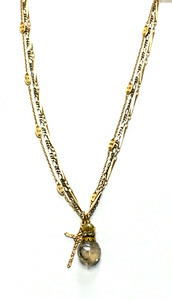 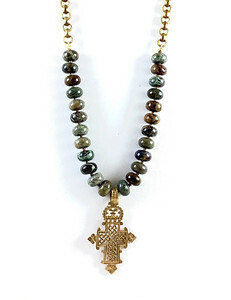 Bronze Coptic cross with snakeskin jasper on rolo chain. 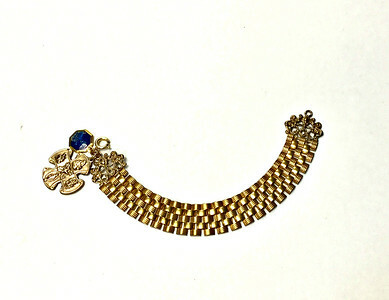 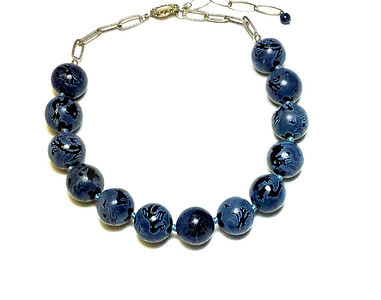 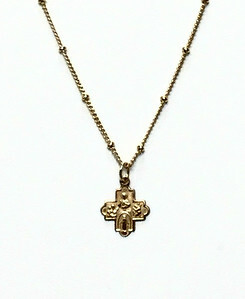 4-Way cross and vintage blue enamel medal on vintage watch chain with bronze findings. 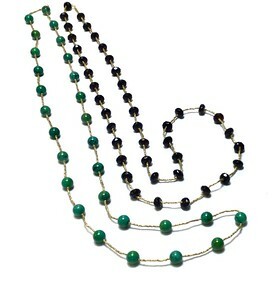 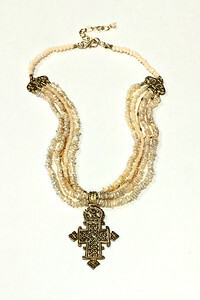 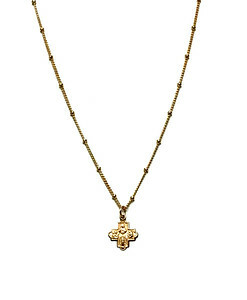 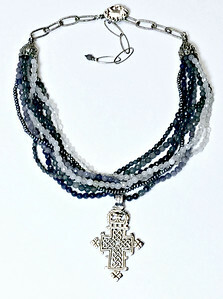 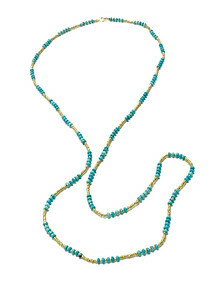 Tiny 4-Way cross on beaded chain. 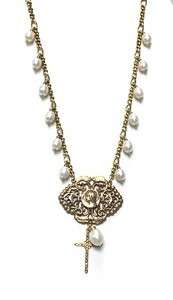 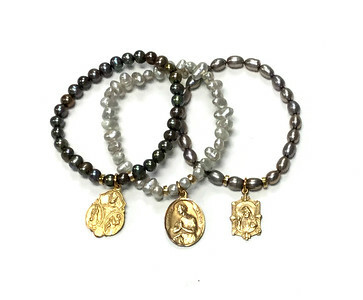 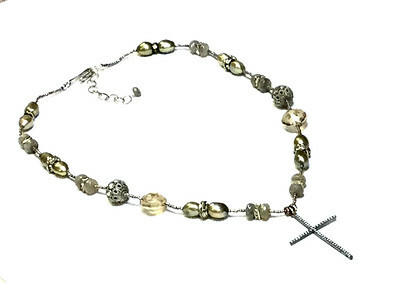 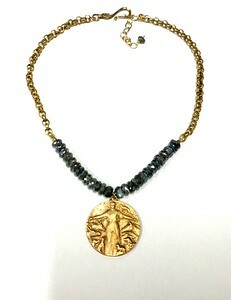 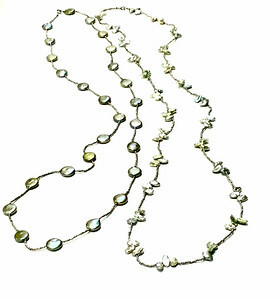 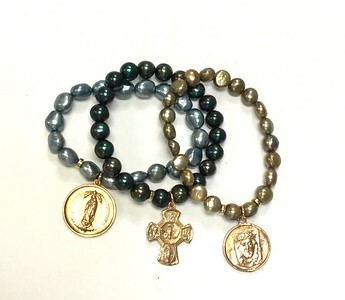 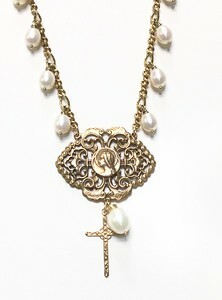 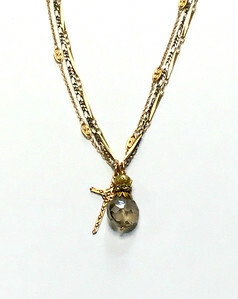 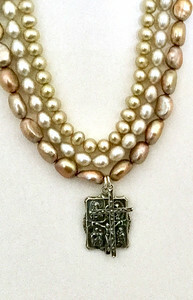 Bronze rosary center with Mimi’s cross on vintage chain with white freshwater pearls.